Jackson as he’s never been seen before’ in the groundbreaking new, ‘Michael Jackson: The Life Of An Icon’ two-hour popumentary. As a best friend of Jackson’s from childhood, Gest has had unprecedented access to the ‘King of Pop’s’ family members, closest allies and coworkers – many of whom have gone on record to talk about Jackson’s life for the very first time. In what promises to be the most definitive portrait of the star ever created, Gest has pieced together the most important facts about Jackson’s life based on brand new first-hand accounts he has recently filmed with the people who knew the star best including those Michael loved, trusted and respected the most. This is no fluff piece. From Jackson’s idiosyncrasies and addictions, to the high points of the most celebrated artist of all time, the story unravels in a most unique and fascinating way. In addition to celebrating Jackson’s many achievements as the biggest selling artist of all-time, ‘Michael Jackson: The Life Of An Icon’ will finally put to rest some of the speculation surrounding the darker side of the star’s life, dispelling accusations, falsehoods and lies about Jackson. In addition to interviews with family members Katherine Jackson, Tito Jackson and Rebbie Jackson, ‘Michael Jackson: The Life Of An Icon’ includes exclusive interviews with: Smokey Robinson (Legendary Motown Recording Artist & Songwriter as well as Former Vice-President of Motown),Dionne Warwick(Legendary Recording Artist),Whitney Houston (Legendary Recording Artist & Actress), Thomas Mesereau(Michael’s Attorney at his sensational molestation trial in 2005), Frank Cascio (Michael Jackson’s assistant, long-time friend and un-indicted co-conspirator at Michael’s second trial for child molestation), Percy Sledge (Legendary Soul Singer, ‘When A Man Loves A Woman’), Petula Clark (Legendary UK Singer, ‘Downtown’), Paul Anka (Legendary Singer & Songwriter, ‘This Is It’ and ‘My Way’), Dennis Edwards (Grammy-Award winning lead singer of The Temptations on ‘Papa Was A Rollin’ Stone’ and ‘I Can’t Get Next To You’), Jimmy Ruffin (Legendary Motown Recording Artist, ‘What Becomes Of The Broken Hearted?’), Freda Payne (Singer, ‘Band Of Gold’), Legendary Motown Songwriting Team of Brian Holland – Lamont Dozier – Eddie Holland (Responsible for more than 150 hits for the Supremes, Four Tops, Isley Brothers, Kim Weston, etc. ),Martha Reeves (Legendary Motown Recording Artist, ‘Dancing In The Street’), Nick Ashford & Valerie Simpson (Legendary Motown Songwriters and Recording Artists),Abdul ‘Duke’ Fakir (Original member of the legendary Motown Recording Group ‘The Four Tops’, ‘I Can’t Help Myself (Sugar Pie, Honey Bunch)’), Ron Alexenberg (Former Vice-President of Epic Records who signed The Jacksons to CBS when they left Motown), Peabo Bryson (Legendary Singer, ‘Beauty And The Beast’, ‘A Whole New World (Alladin’s Theme)’), Eddie Floyd (Stax Records Singer/Songwriter, ‘Knock On Wood’), Marilyn McCoo & Billy Davis, Jr. (Original Lead Singers of ‘The 5th Dimension’), Kim Weston (Motown Recording Artist), Brenda Holloway (Motown Recording Artist), Don Black (Legendary songwriter, ‘Ben’), Ronnie Rancifer (Member of the Jackson 5 between 1966 and 1976), Bobby Taylor (Lead Singer of ‘Bobby Taylor & The Vancouvers’, discovered the Jackson 5 and produced their first album at Motown),Keith & Ronald Jackson (Michael’s first cousins), Reynaud Jones (Original member of the Jackson 5), Frank DiLeo (Michael’s Manager 1984-1989, 2010), J. Randy Taraborrelli (Close friend and best-selling Biographer of Michael Jackson), Milford Hite & Robert Hite (Milford was an original member of the Jackson 5 and his brother Robert managed them prior to Joe Jackson), Dexter Wansel (Writer and Producer for The Jacksons when they signed to CBS), Russell Thompkins, Jr. (former lead singer of the Stylistics on all their hit records), Mickey Rooney (Legendary Actor), Weldon A McDougal III (Helped discover the Jackson 5, promoted their records on Motown and was the group’s official photographer), Mark Lester (Godfather to Michael’s children and claimant to the possible paternity of one or more of Michael’s children), the songwriting team of Kenny Gamble and Leon Huff (who were responsible for The Jacksons first hits after leaving Motown including ‘Enjoy Yourself’ and ‘Show You The Way To Go’) and Billy Paul (Singer, ‘Me & Mrs Jones’). Family matriarch Katherine Jackson, for the first time, opens up intimately about her personal life as well as her relationship with her son Michael. Rebbie Jackson, Michael’s eldest sister, gives a very rare interview and recounts the star’s childhood growing up in Gary, Indiana, as well as his difficulties with father Joe, his extraordinary bond with mother Katherine, and his decline in later years. Gest’s other best friend, Michael’s brother, Tito, provides an in-depth look into Jackson’s history and what his mother and family went through during the sensational molestation trial in 2005. The viewers will witness an emotional side to Tito never before seen on camera. Jackson and his brother Tito were Gest’s best men at his 2002 wedding to actress Liza Minnelli. 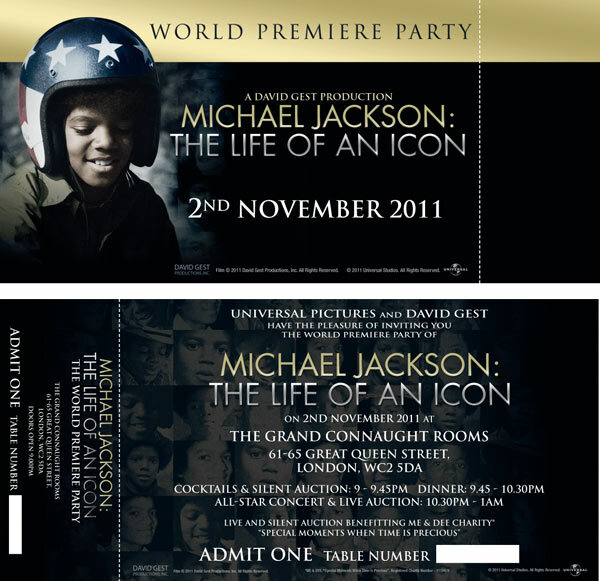 David Gest and Michael Jackson began their friendship in 1969 and more than thirty years later the two formed a successful business venture, World Events LLC, where Gest produced and Jackson starred in the highest rated music television special in history ‘Michael Jackson: 30th Anniversary Celebration’ on the CBS Network. It was seen in more than 100 countries throughout the world. Gest produced these historic last live concerts of Jackson at Madison Square Garden in 2001 which also featured the last reunion of Michael and his brothers, the Jackson 5. THIS IS REALLY IT!… ’MICHAEL JACKSON: THE LIFE OF AN ICON’ IS THE TELEVISION SPECIAL EVERYONE HAS BEEN WAITING FOR!!! 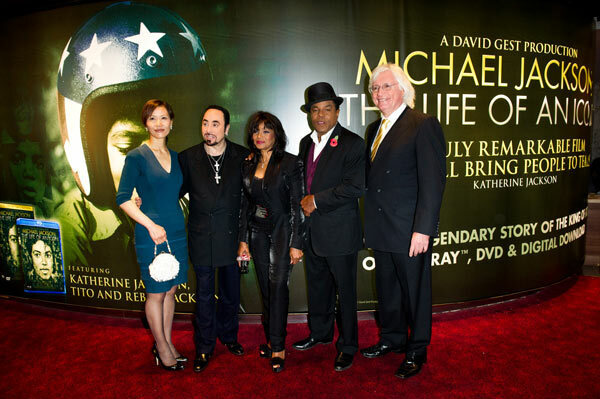 ‘Michael Jackson: The Life Of An Icon’ is produced by David Gest and Directed by Andrew Eastel for David Gest Productions, Inc.